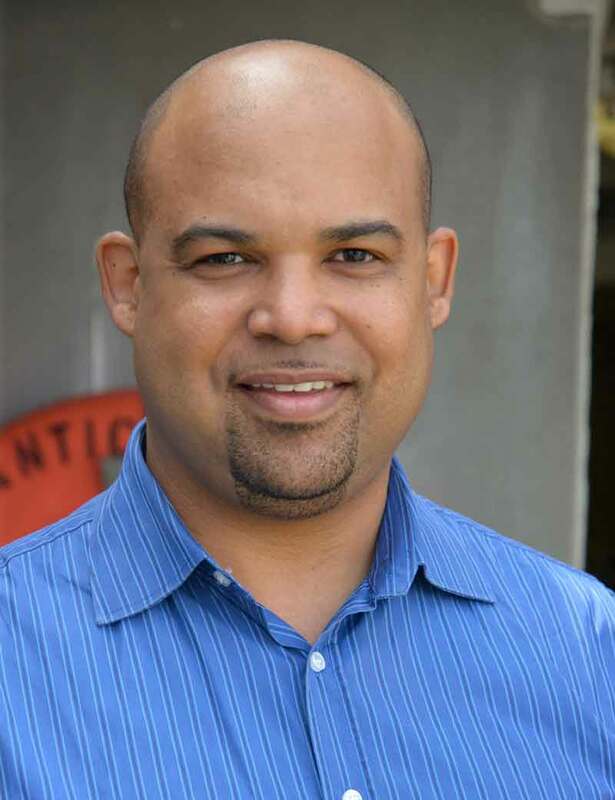 The Bermuda Institute of Ocean Sciences’ Risk Prediction Initiative [RPI2.0] and the Bermuda Insurance Institute will once again join forces to deliver a Catastrophe Risk Seminar to discuss the scientific problems surrounding the issue of flood risk. At the seminar on October 28, scientists and researchers will deliver sessions on storm surge, extreme precipitation, tsunami, and sea level rise. Dr. Mark Guishard [pictured], Program Manager of RPI2.0 at BIOS, said, “Water is well documented as one of the biggest causes of loss of life and property damage associated with catastrophes, such as hurricane storm surges, riverine flooding and tsunamis. “The growing industry interest in extreme flooding events and coastal inundation motivates the subject of this year’s Cat Risk Seminar. Catastrophe modelers are recently focusing more attention on assessing these risks with the same scrutiny as the wind component of events. This week, RPI2.0 brings together its industry Members and scientific researchers to discuss matters surrounding natural hazards at their Workshop hosted at XL. Dr. Guishard notes that, “Whilst this week’s workshop is a closed Members-only event, one of RPI2.0’s functions is to provide educational events to the re/insurance industry as a whole, and as such is pleased to once again be partnering with the Bermuda Insurance Institute on an open event”. He said, “RPI2.0 is a 20-year old industry/science collaboration, and our insight into cutting edge science is yet another reason Bermuda should be considered as the domicile of choice. As the industry evolves to incorporate more ILS capital, we are increasing our efforts to attract perspectives on natural catastrophes from the financial markets”. BIOS is an independent marine science and education organization committed to ocean science for human good. It was founded in 1903 as the Bermuda Biological Station by scientists from Harvard and New York University to take advantage of Bermuda’s ideal location for deep-ocean and coral reef research and education. BIOS was incorporated in New York in 1926 and is an U.S. 501[c] organization and a Registered Bermuda Charity.